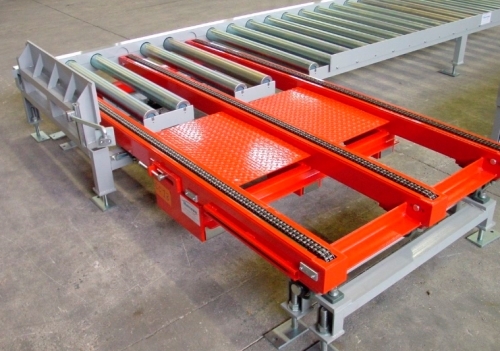 Rugged and economical roller & chain based pallet conveyor systems. 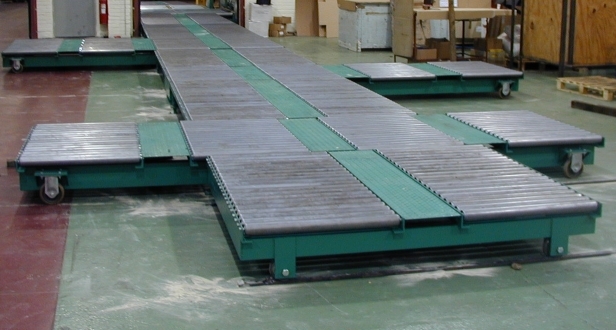 The widest range of quality economy pallet roller conveyors and pallet conveyor systems to you, more than any other UK suppliers or manufacturers and at very competitive prices. 100's of options based on different models, designs of rollers in gravity and powered manufactured to high specifications and supplied to you on time. 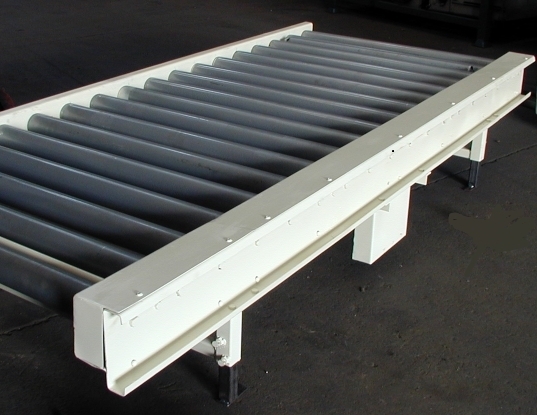 From narrow multi-lane and low profile models right up to specially designed heavy duty gravity and powered roller conveyor versions. Our delivery times are short and you can be assured of receiving quality equipment with the peace of mind given by a full warranty. 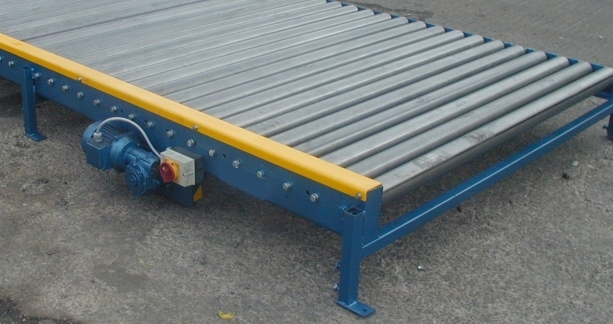 Our pallet conveyor systems are made from heavy gauge steel sections and the rollers we use are made from heavy duty steel tube, either plain or galvanised. Bearings used are heavy duty. There is a selection of roller diameters available and roller pitch dimensions, though these roller pitch dimensions are dictated to a degree by the pitch of the heavy duty chain which drives the rollers. 3 phase motors are used in a variety of power ratings to suit your product weight and desired speed.